Manufactured by Ford UK and sold in Europe and Australia between 1939 and 1967, the Ford Anglia is a compact runabout you don’t often see cruising around streets of modern-day America, let alone tearing down seven-second passes at its drag strips. 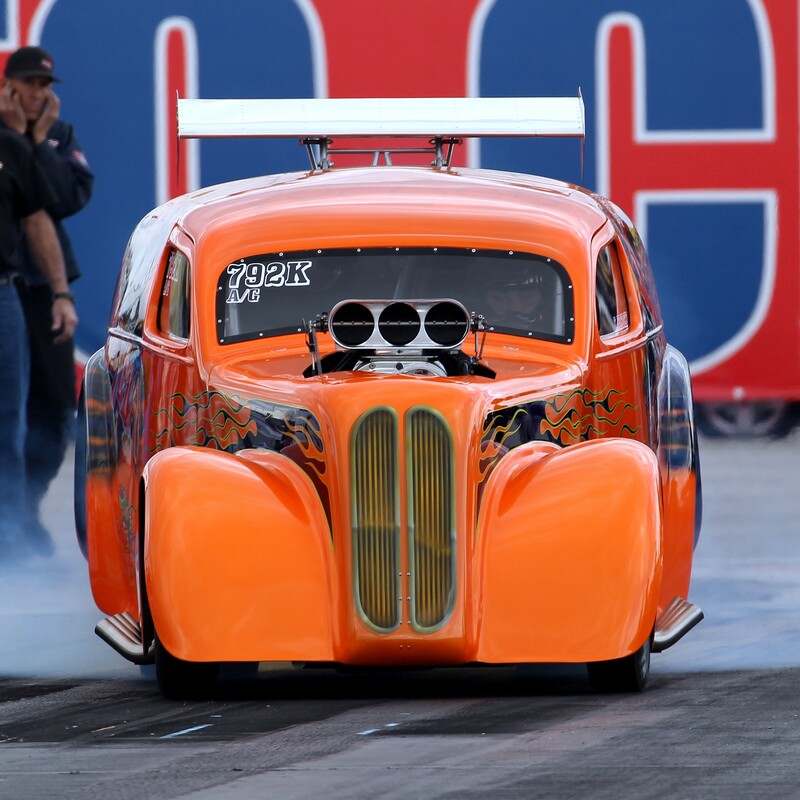 A bright orange Anglia with a bird catcher sticking out of the hood and massive wing affixed to the roof is not a common sight at the drag strip, which is exactly what drew the Pococks to The Boogeyman. 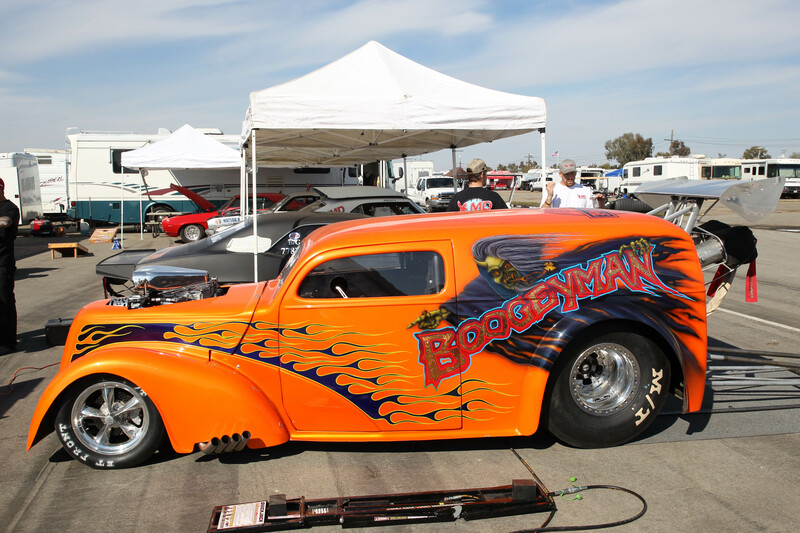 The Boogeyman is powered by a small-block Chevy with a BDS 8-71 blower injected on alcohol, a combination that Kamaka says is good for about 1,200 hp. Kamaka says that they’re gunning to compete in A/Gas, which is a 7.60 index class. 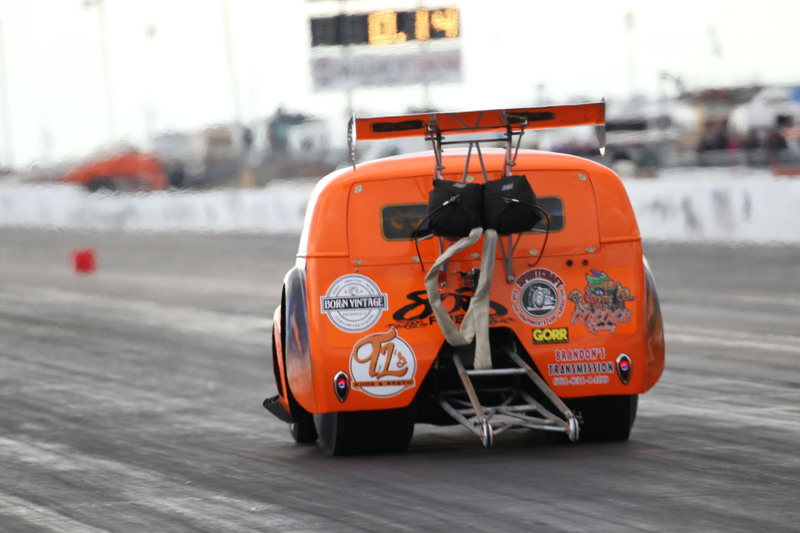 Though they fell short of the mark at their opening race this year, the team has since installed a new blower and will be cranking up the boost in an effort to shake those extra tenths. That potent SBC is hooked to a Powerglide transmission from Transmission Specialties and sends the grunt to the rear wheels via third member from Strange Engineering, who also supplies The Boogeyman’s axles and suspension. 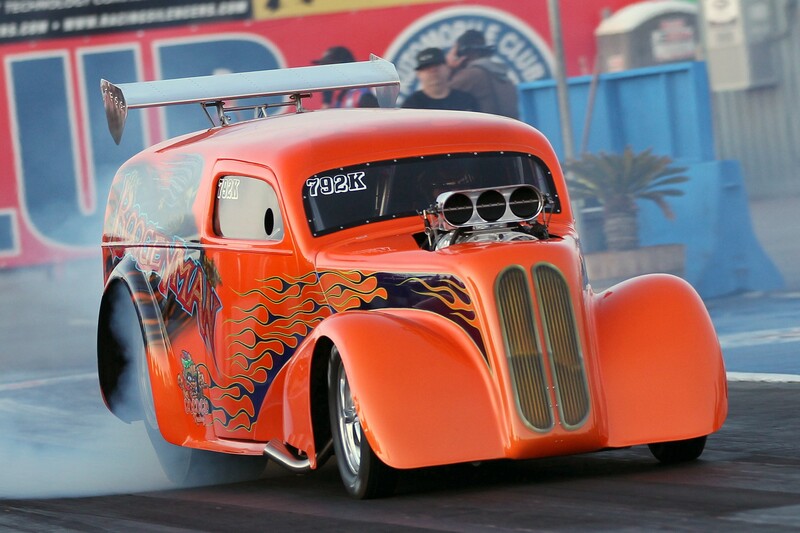 Power gets to the ground through Mickey Thompson slicks, which are wrapped around American Racing wheels. The Boogeyman’s next appearance will be at the end of April for the ANRA season opener at Famoso Raceway, so don’t bother looking under your bed tonight.